THE EPO has been making suspicious moves recently [1, 2]. It is almost opening its doors to software patents without the necessary consultation. The EPO also welcomes the emphasis the report places on the need for the creation of a Community patent, and a centralised, specialised European patent judiciary. 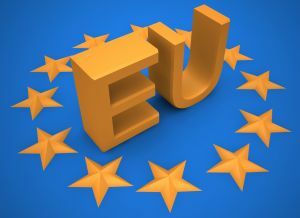 The European Commission has issued a communication asking for the creation of the Community Patent in order for “ICT companies to protect their inventions in the single market”. Large companies were rejecting the software patent directive, aiming to validate software patents via the Community Patent and skip the debate about patentable subject matter. Since When Did We Give Lobbyists From The Tech, Entertainment And Pharma Industries Security Clearance? With the new administration sticking by the old one in declaring negotiations over the ACTA treaty somehow a matter of national security as a way of avoiding revealing any info about the proposed treaty or its ongoing negotiations, the folks over at KEI have pointed out the long list of corporate lobbyists who have been involved in the negotiations, including those from the RIAA, MPAA, ESA and a long list of tech, telco and pharma companies. The EPO is already attempting to cover its back. As IDG points out, the latest tune from the EPO is that the number of granted patents declined last year and therefore — hopes the EPO — people might believe that quality of patents has improved. The European Patent Office rejected more patent applications than it passed for the first time last year, in an effort to raise the quality bar in the European Union. The number of applicants was larger than in 2007, the EPO said in a statement. * The EPO is not part of the EU framework and thus has limited interest in the EU community patent or any initiative as part of the EU framework unless the Commission and Council bow down to the EPO leadership and won’t strengthen the role of national patent offices. * “opening its doors to software patents without the necessary consultation.” –> They have a process for the Brimelow referral G03/08. However, this is not “political”. * Microsoft is not lobbying much on that. If they do, then because they reflect public preconceptions about what Microsoft is supposed to want here. * As of the Commission Communication document consider what department it comes from and what the main objective of the report is: “A Strategy for ICT R&D and Innovation in Europe: Raising the Game”. You will hardly find a EU innovation policy document that does not mention patents one way or the other and it is pretty low level. Also for the Czech presidency the project is almost faded out. What it is indeed about is ICT keynesianism and observers are right when they find key industry lobby messages reflected.